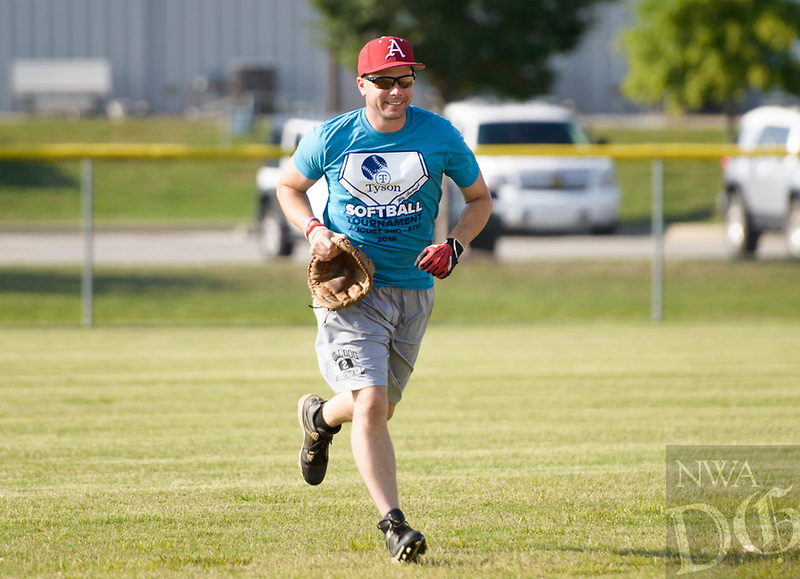 NWA Democrat-Gazette/CHARLIE KAIJO Matt Mika runs the outfield during the Tyson Chicken annual softball tournament, Friday, August 3, 2018 at the Rogers Regional Sports Park in Rogers. Matt Mika, director of government relations for Tyson Foods, threw the first pitch. Mika was shot twice at the GOP Congressional baseball team practice last June.